HappyFeet launches HappyFeet My Soccer Adventure! We know you want to help your child develop emotionally and socially (after all, you drove them to all those soccer practices for a reason...). That’s why we’ve created a book that helps your child grow in the most important ways. My Soccer Adventure boosts your child’s self-esteem by showing them how much you celebrate their efforts and growth. Seeing pictures and memories of their friends and coach helps your child feel plugged into their community. 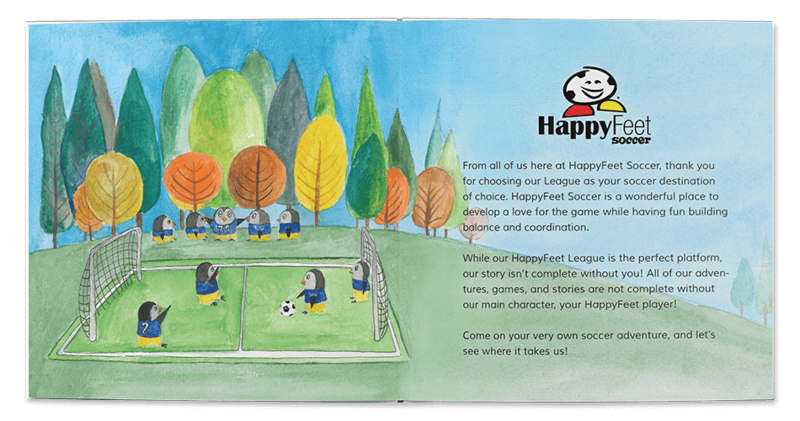 Score a winning goal and help your child stay soccer-strong with the HappyFeet My Soccer Adventure book!